A bomb exploded in a busy intersection near schools in the Egyptian capital Cairo on Thursday, hitting a bus and wounding five people in an attack that raised concerns that a wave of violence blamed on Islamic militants that has targeted security forces and military for months is increasingly turning to hit civilians. The blast came a day after the government declared its top political nemesis, the Muslim Brotherhood, a terrorist organization, accusing it of being behind the violence. 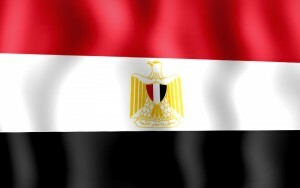 The declaration steps up the crackdown on the group since the military ousted Islamist President Mohammed Morsi in July. On Thursday Interior Ministry spokesman warned that leading a Brotherhood protest was now punishable by life in prison under anti-terrorism laws.